Hot summer days call for light and refreshing breakfast and this Mango Coconut Chia Pudding is a new found favourite of mine! Combine all the ingredients. Shake well and pour into a cute mason jar**. Chill it in the fridge overnight or at least an hour. * Fresh mangoes and shredded coconut is my favourite combination at the moment we are in season with mangoes. But you can play around with your favourite food and add in some nuts if you wish! ** Because everything tastes better in a mason jar! If you are not a fan of mangoes (HOW COULD YOU? ), you could easily swap it with any fruits that is currently in season - cherries, nectarines, plums... the possibility is endless! 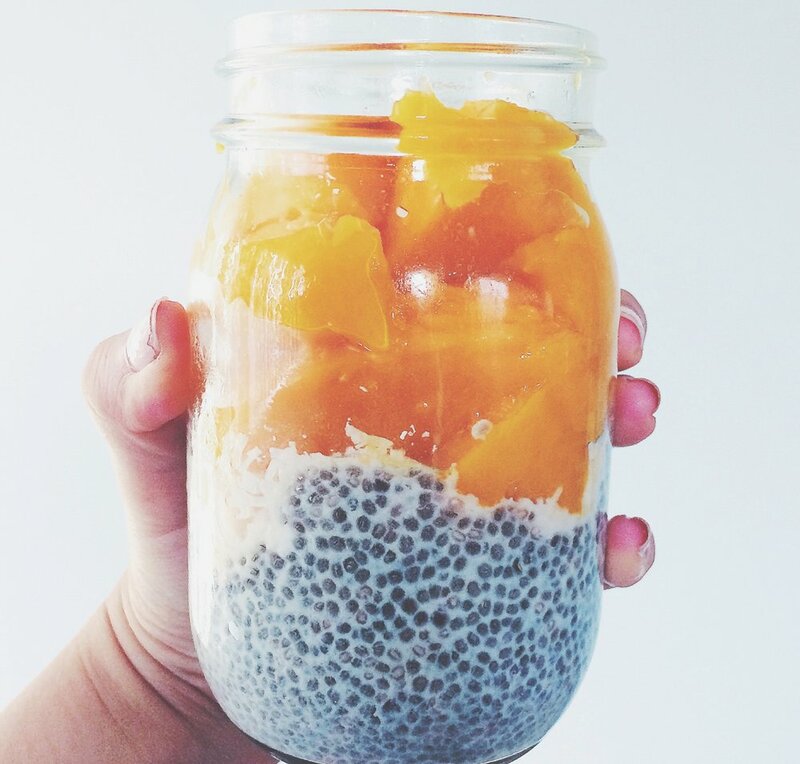 Have a go at this super easy Mango Coconut Chia Pudding and let me know how you go!